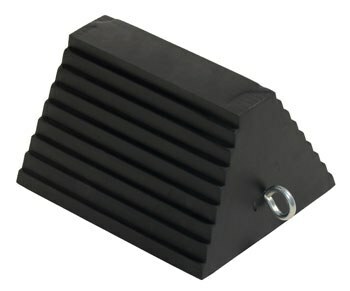 The Vestil Rubber Wheel Chock- Eye Bolt is made from reinforced rubber to guarantee a strong hold on any surface. A curved design allows for the wheel chock to conform and fit tires. The rubber used also resists tears, scrapes, weathering and anything else you can throw at it in any weather condition.